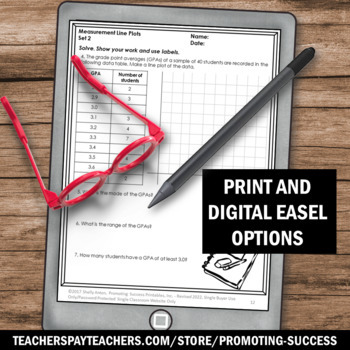 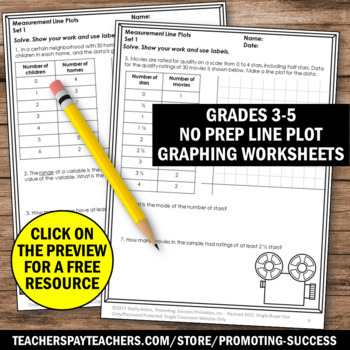 These printable line plots worksheets work well for 4th grade test prep, as a math center review, as homework, for morning work or as a formative assessment or quiz. 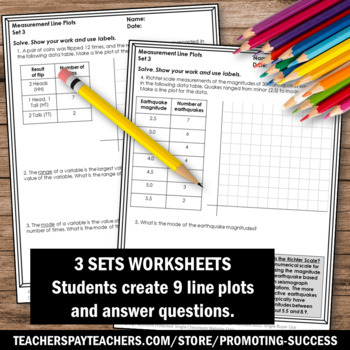 There are three formative assessments for this standard each with ten questions and three line plots. 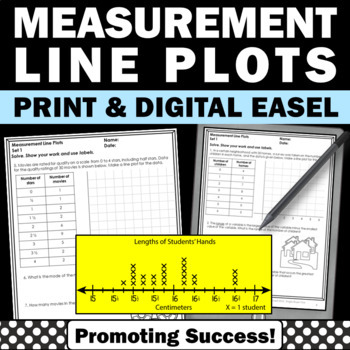 This makes a total of 9 line plots and 30 questions.